I'm back again with another Mixed Media Journal Project today. Since discovering that I can dramatically shorten the length of time I can put these bad boys together I have been even more addicted to making them! I can't get enough of Eileen Hull's Journal Die! 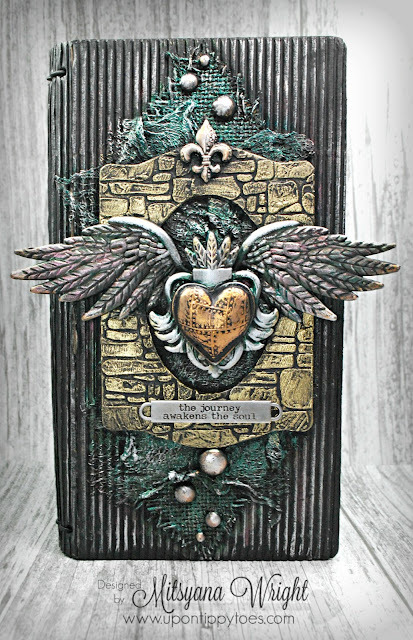 Journals are so on trend but tend to get very pricey when buying pre-made ones. 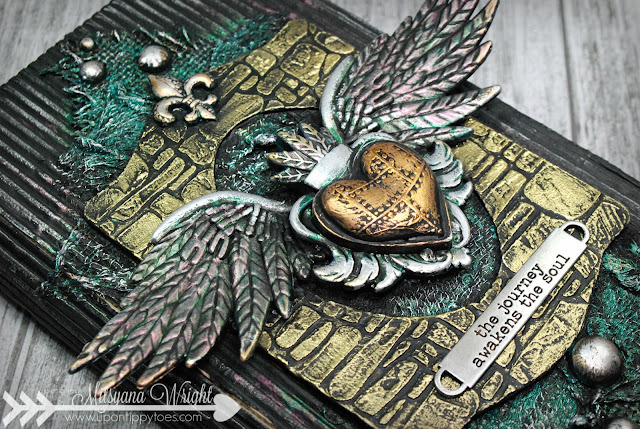 But with Eileen's Heartfelt Journal die from Sizzix I can make as many as I want whenever I want and customize and personalize each one, making them as extravagant or as minimalistic as I want. This and my last journal are quite detailed. But just because they're detailed doesn't necessarily mean difficult. 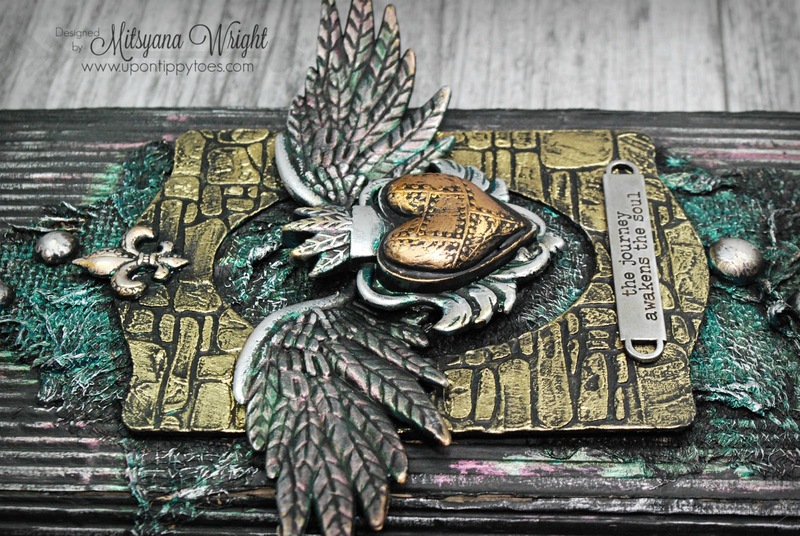 Let me show you how I made this journal using unexpected materials. 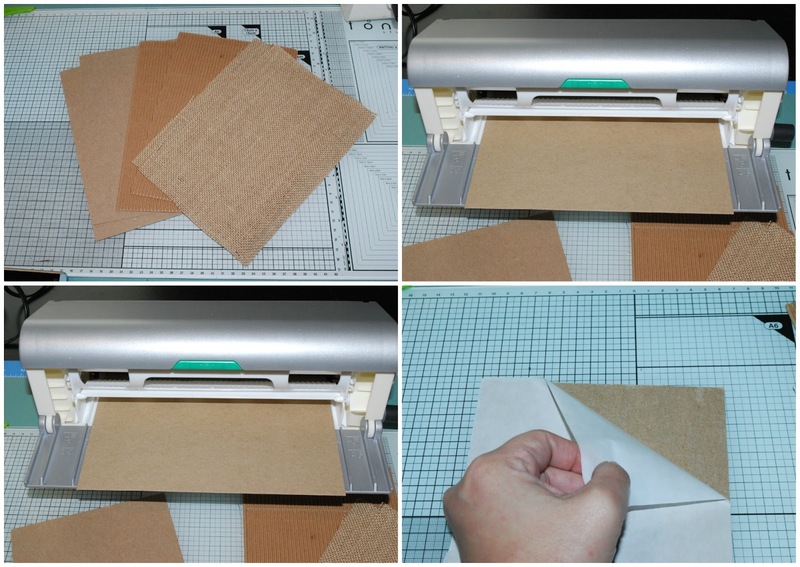 I started by cutting my chipboard, burlap sheet, and corrugated cardstock into 6"x 9" pieces. 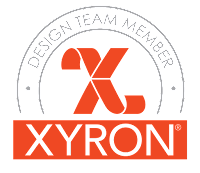 Then I ran the CHIPBOARD pieces through my Xyron Creative Station. Once I ran it through I flipped it over and ran it through one more time. This way I have adhesive on both sides. I repeated this for both pieces of chipboard. Once both pieces of chipboard were covered in adhesive, I peeled back the protective film and attached a burlap sheet to one side and a corrugated sheet to the other. 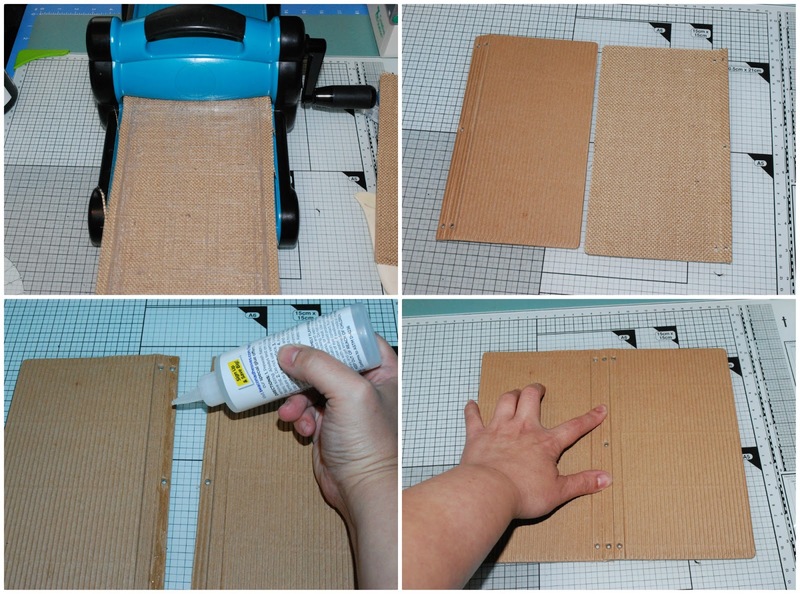 I repeated those steps for the second piece of chipboard as well. These will be my covers. Hull Journal Die (Corrugated side FACE DOWN, against the blade). 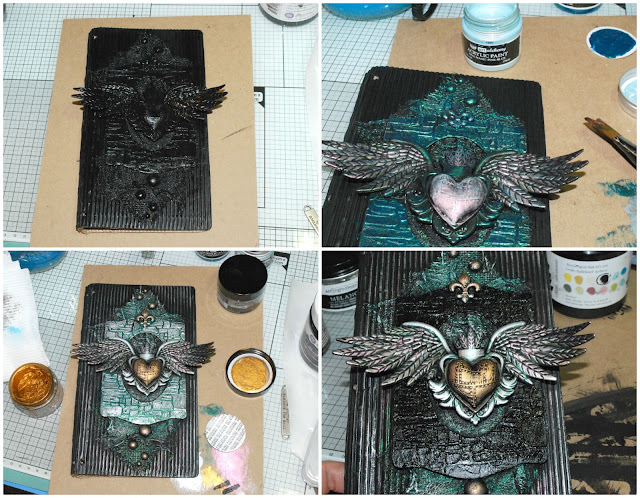 Then added Mixed Media Glue to the spine and adhered them together, Lining them up using the pre-cut holes. Then clipped the ends together with a clip and set a heavy object on top till the glue set. 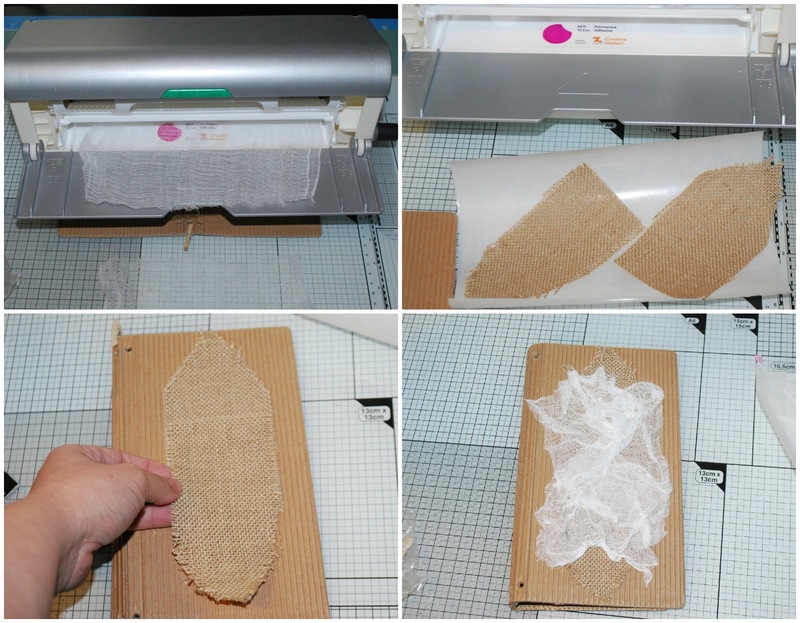 While that was drying, I ran pieces of cheesecloth and burlap I randomly cut up through my Xyron Creative Station. Then applied the burlap and cheesecloth onto the front of my cover. 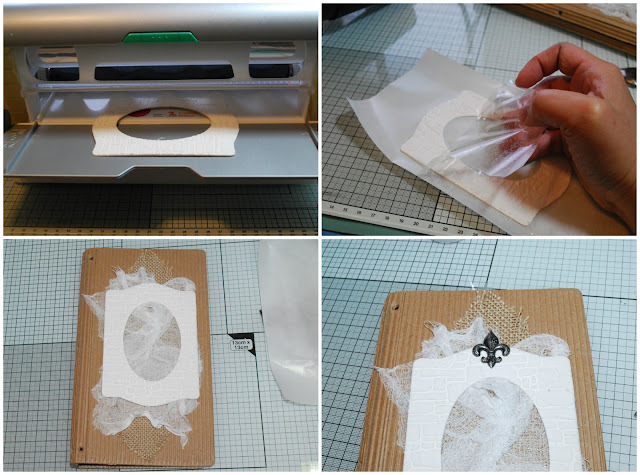 I die cut a frame from Eileen's NEW Book & Pages, Trinket Box & Frame from white Mat Board. 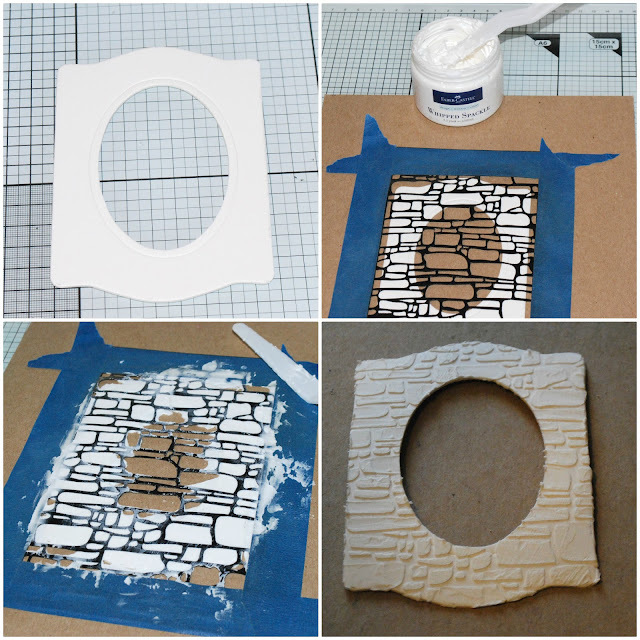 I used Little Birdie's Brick wall spackle with some Whipped Spackle to stencil on some texture. Once the paste was dry, I ran the frame through my Creative Station, Peeled off the protective film and applied it onto the front cover over the cheesecloth. 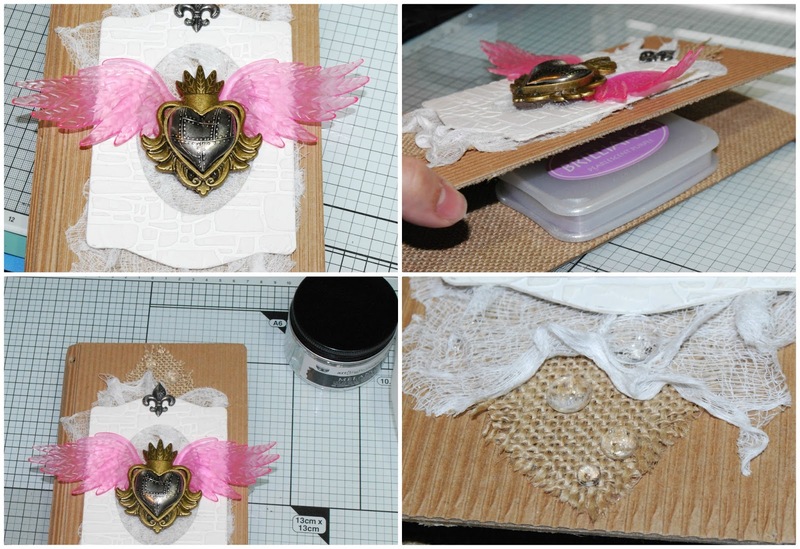 Then added a little fleur de lis metal embellishment to the top of the frame. Here's a little something unexpected... Just like my last journal, I used plastic toys to build my mixed media piece. 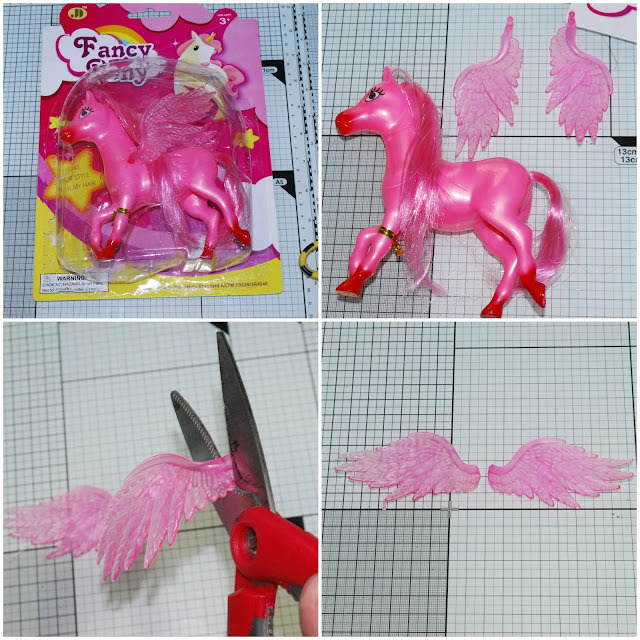 I found the plastic pegasus pony at my local King Dollar Store. I love her hot pink color but she's not the prettiest looking pony... but upon further inspection, her wings are absolutely GORGEOUS!! So much detail and texture just in her wings... I just had to take her home and sacrifice her for a greater cause. Yes, I killed a pony. I'm not a bad person (I promise) but I have to say... I most definitely would and WILL do it again. Sorry kids... Just look away!! I yanked out her wings... which surprisingly were easy to dismember from her body. Then trimmed off the stumpy plugs off the ends. WOOT WOOT!! A huge pair of pretty WINGS for a little over $1!! WIN!! 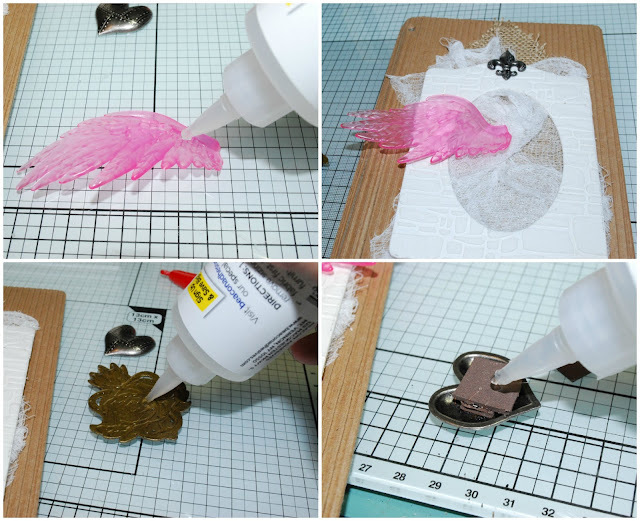 Then, I used mixed media glue to attach the wings to the center of my frame. And glued a metal heart bezel over top using more mixed media glue. There was quite a bit of a gap so I used some craft foam to fill that uneven space under the bezel. I used more foam under the tin metal heart and glued it onto the top of the bezel. While the glue was setting I placed an ink pad between my cover flaps to keep it level so the embellishments don't slide before they set. Then I added these clear art pebbles for added interest. 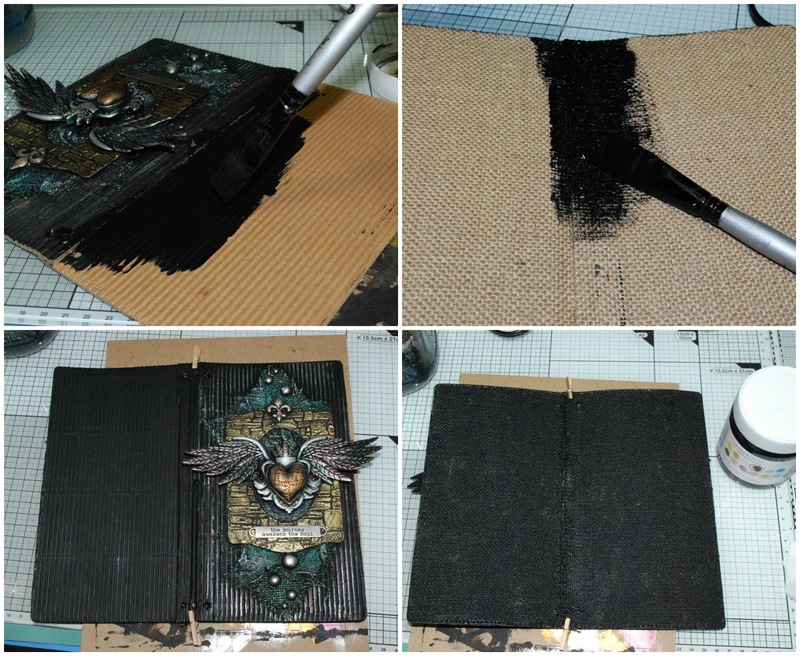 Once the glue set, I painted the entire cover and embellishments with black chalkboard paint. I dry brushed on emerald green and opal magic blue pink acrylic paint over the wings, burlap, pebbles, and bezel. I ended up repainting the center of the heart and the frame black. I didn't like the grout of my brick green and I wanted the gilding wax to stand out. It really stands out and does best over black. 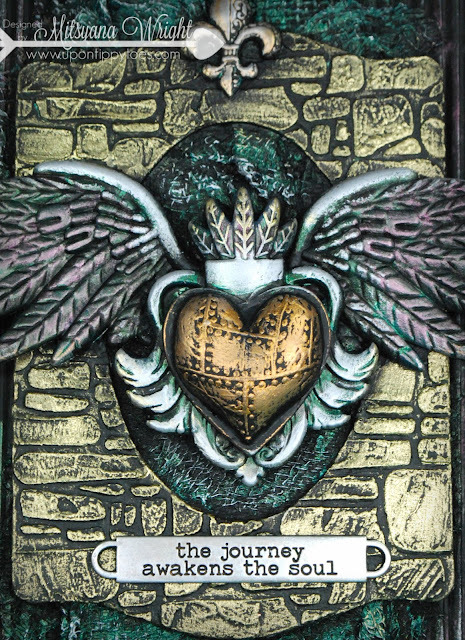 Then I applied gilding wax over all the metal embellishments and random raised areas along the cover. Rubbers lightly over the grooves in the corrugate, mesh, and burlap... and also tips of the wings and over the brick of the frame. I brushed on black chalkboard paint over my Tim Holtz Word Band then rubbed off the excess. I just wanted the paint in the recessed areas in the words. then attached it to the front cover under the frame. Then I painted over the back flap and insides with more chalkboard paint and set it aside to dry. After my journal was dried, I threaded elastic strands through the pre-cut holes and tied the ends into a knot. Then inserted black page inserts I had made earlier... to see how I made my journal inserts, please visit my previous journal making post. I personally think plain white pages in dark journals look awkward but black pages look amazing!! But you can use whatever inserts you like. I really enjoyed making this journal! I've been meaning to try more Mixed Media art and I'm so glad I have!! 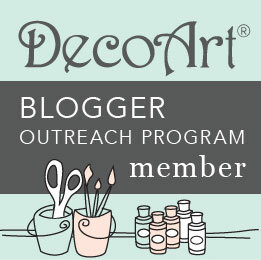 I hope you enjoyed to this project and it inspires you to give mixed media a try!! Gorgeous! I have the TN die but haven't used it yet! You did an amazing job! !❤️ I love it! Oh my goodness GIRL! I'll be looking for these toys on our "dollar store" those wings are perfection!!!! Oh and that little plaque, what a sentiment. I'm in total love!!! That was so cool! I love mixed media!